All parents & guardians who have not yet been sent an invitation email to the eDiary can be found by clicking the 'Uninvited' tab. 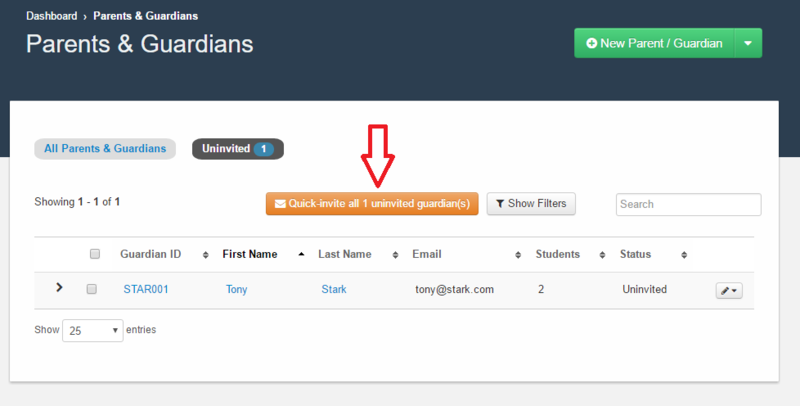 Or all uninvited parents & guardians can be invited by clicking the 'Quick-invite all Uninvited Parents' button. 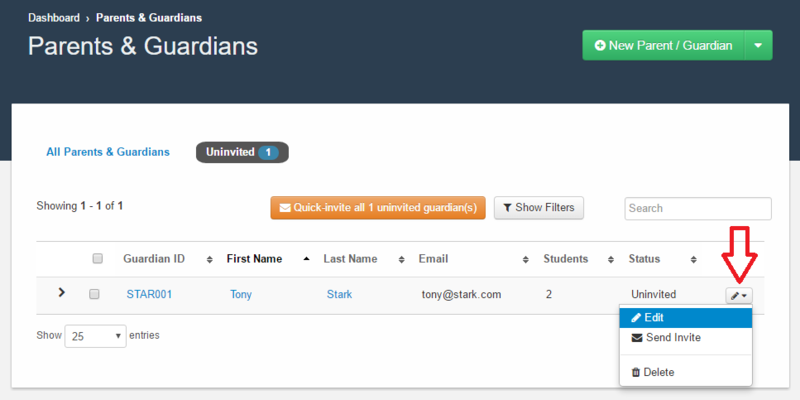 The students that a parent/guardian is linked to can be seen by clicking the arrow to the left of the parent name. 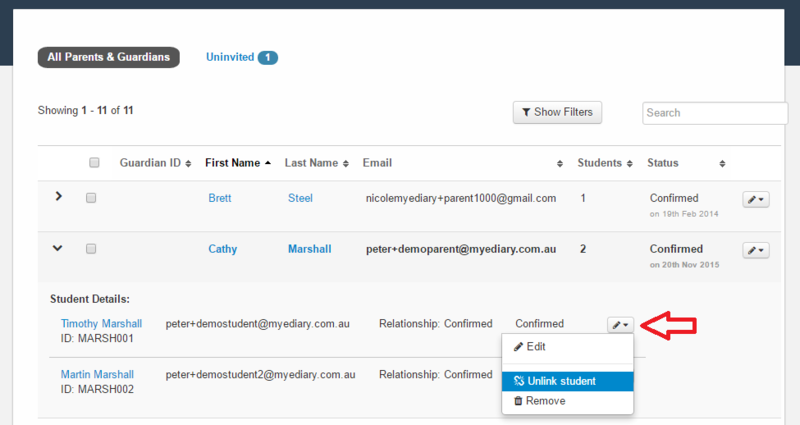 To unlink a student from a parent, click the option menu beside the student then click 'Unlink student'. 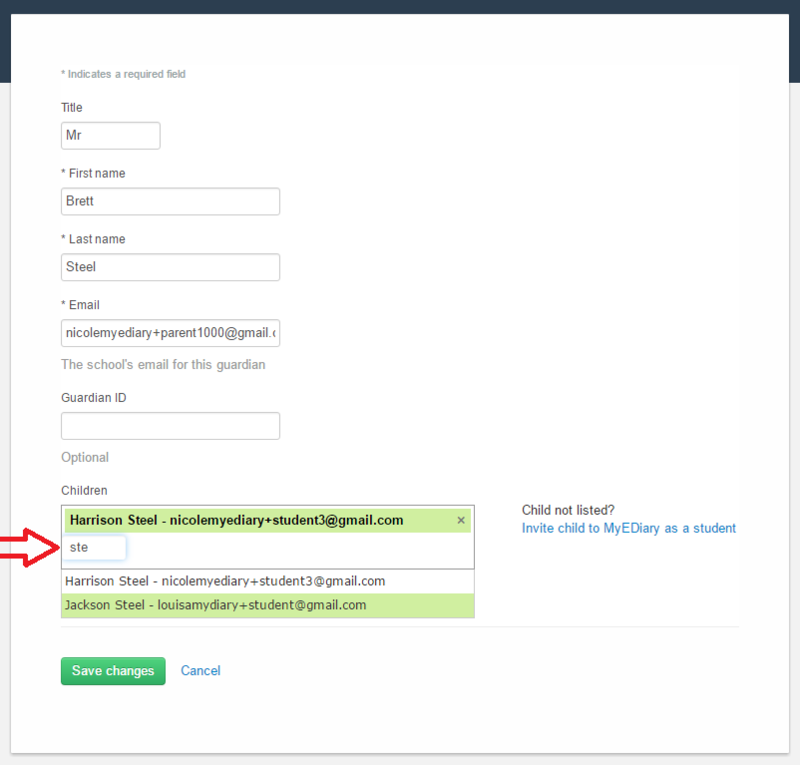 To edit or delete an existing parent, click the option menu beside the parent then click the relevant option.